2. Prevents further occurrence of pigmentation from the basal layer. 3. Balances sebum for acne reduction. Skin prone to pigmentation. Oily skin type. 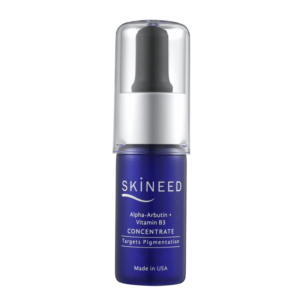 Highly stable Alpha-Arbutin can help to lighten pigmentation at the basal layer. 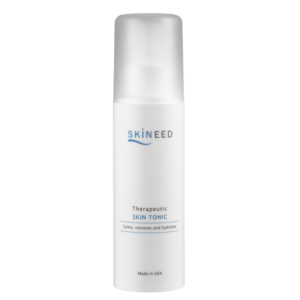 It is able to inhibit tyrosinase activity about 10-fold better than Beta-Arbutin, hence reducing the chances of pigmentation. Vitamin B3 (5% concentration) – When Vitamin B3 combines with Alpha-Arbutin, it can lessen the melanin production by inhibiting melanoma cells communication, achieving double whitening effect. Vitamin B3 also balances oil secretion. Prevents excessive accumulation of sebum in the pores and hence, reduce acne formation. Glycerin, PEG-400, Alpha-Arbutin, Niacinamide, Tocopheryl Acetate. For enhanced skin fairness, mix 1 drop into Skin Oasis gel, along with Ferulic Acid and Vitamin C+E concentrates before application. Thereafter, spot apply on pigmented area if necessary (night only). 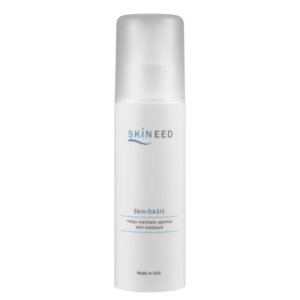 For oily, acne prone skin, mix 2 drops into Skin Oasis gel and apply as a serum. 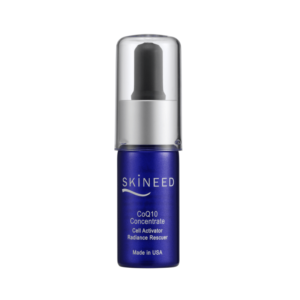 Thereafter, spot apply Vitamin C+E onto acne.